I played Inverse World this weekend, which is a Dungeon World setting in which the world is inside the center of a planet, with the sun-god being at its core. It’s very fantastical, with lots of flight, floating islands, and “oceans” of clouds that function like water. Our characters were Ark, a Golem of wood, very ent-like. Delue, a goblin Collector of strange and modified animals. And I played Halwynn, a sky-folk Lantern (like a priest of the sun-god, Sola) who had known Delue before she became a Lantern, and who actually started out impersonating a true follower so she could steal a Little Light (the mark of a Lantern, and literally a tiny piece of the sun). We had a problem, which was that the changeleaves, a resource which is vital to trade within Inverse World, have been degrading in quality. The main source of changeleaves is a remote island– it’s something like the world tree in the sense that, while there are changeleaves all over Inverse World, the leaves here are especially vibrant and pristine. We approached the island in our airship (all islands float in Inverse World), which we discovered was covered in lava. Apparently, the volcanoes on the top of the island were all erupting, while the groves that grow downward were left to be bathed in red-hot light. We’d heard rumors that the island residents were sacrificing leaves and, possibly people, to the volcanoes in hopes that they would cease erupting. This, obviously, was not working. Our first challenge was to get to the underside of the island, by sailing through the lava. We did this… inexpertly. Basically, Delue had his weird hairless monkey take the wheel of the ship while the rest of us grabbed on and tried to keep the crew from falling off…. we were not entirely successful at that, and Delue went overboard and had to float in on an inflated fishhead, while Halwynn fell off, eventually grabbing a last life line that was being used by a workman on the underside of the ship. Being a sky person, Halwynn has wings, but hers were permanently damaged when she became a Lantern. They aren’t something she can really use, now. We continued to dock and tried to sooth the captain’s feathers… unsuccessfully, since going through the lava permanently altered his ship so it will now be unflyable. Whoops. Ah, well– retirement is totally an option now, right? We approached the city, spoke to the lone guard, and discovered that the sacrifice parade was happening right then. 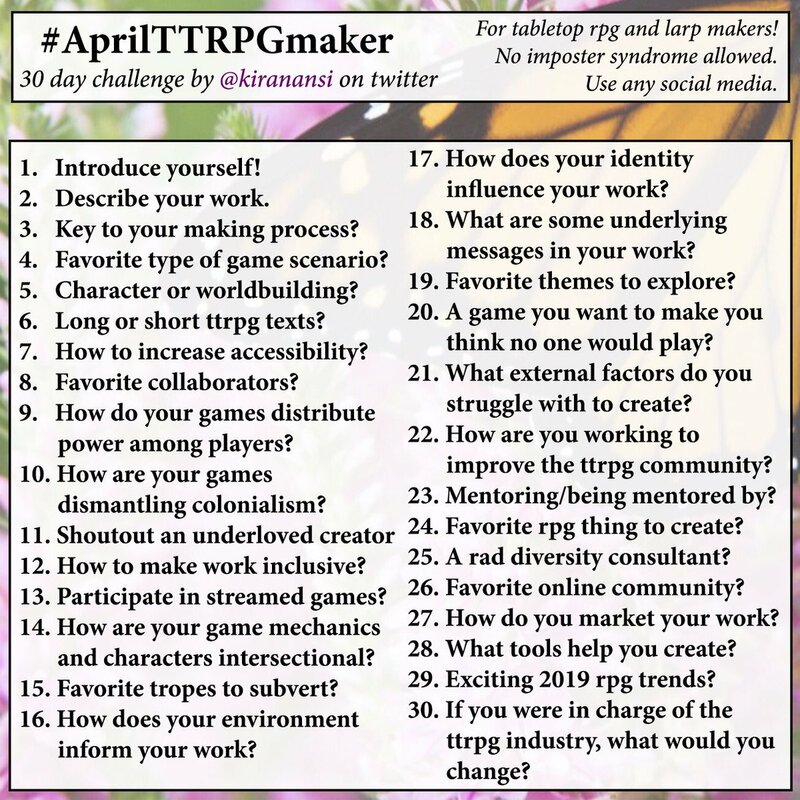 We hurried to join it, Ark and Delue attempting to find the changeleaves, and Halwynn looking to find the elders and hopefully convince them to sacrifice things that are not as valuable as changeleaves or people. Unfortunately, Halwynn only convinced them that sacrificing a mouthy Lantern would be a good idea, while Delue and Ark got into a drum fight with some of the marching band. Halwynn ran off, yelling a few choice epithets, only to have a vision from her Little Light. It was very disturbing and left her feeling scared and uncertain. It seemed that Sola was telling her that her light was needed, but it wouldn’t be enough to turn back the darkness. Meanwhile, Delue had fallen for one of the goblin elders and was making moon eyes at her. He eventually enchanted her with a glittering butterfly from his collection. To say that he had intentions of taking her home to add to his collection of wives might not be far off (it was at this point we discovered that, while Halwynn is racist against goblins, Delue is a misogynist… truly, Ark is the best of all of us). Finally, she met back up with Ark, and sought safety and comfort in Ark’s branches. Ark asked her what he should do, and she said “Can we get into the sacrifice chamber?” Ark took this as a command, and they headed that way, gathering Delue on the way. The chamber was an enormous vent in the volcano, and there, Ark found a huge stash of changeleaves waiting to be sacrificed. It was hot and reeking and dangerous, and in the back of her mind, Halwynn kept trying to think of a way out of here that wouldn’t demand… what she was sure Sola was demanding. Ark saw what needed to be done, and dipped into the changeleaves, which changed himself, altering him permanently and rooting him forever to that spot. He reached into his bark and pulled out his crystalline heart. “You must sacrifice this and your light to the volcano to stop it.” And then… he was no more. Halwynn was crushed. My light! My little light! Her two closest companions– Ark and her light!– to be gone in one moment! Delue stood by, rubbing his hands greedily. “We could… we could be very rich, you know…” Halwynn argued back that they had no way to get out, but Delue pointed out that they could use the changeleaves and some of his collection to make a hot-air-fishballon to float out of there. Halwynn nodded in agreement, still staring at the heart. Delighted, Delue quickly fashioned the balloon and Halwynn’s light helped load the leaves into several sacks for their riches. As they floated upwards, Halwynn directed her light to take Ark’s heart and…. drop it into the volcano, sacrificing both forever. Ark rolled his Last Breath move and was restored to life, many years later. Halwynn is now a second level Lantern, but without a Little Light. Questing for that would be a major plot point if she were to continue adventuring. Overall, it was a fun and entertaining session, and I would enjoy continuing to play this character, if given the option. I will find my goblin love… for i have riches to lure her with now! At second level, I took a thief move. I will help you steal your goblin love’s heart!